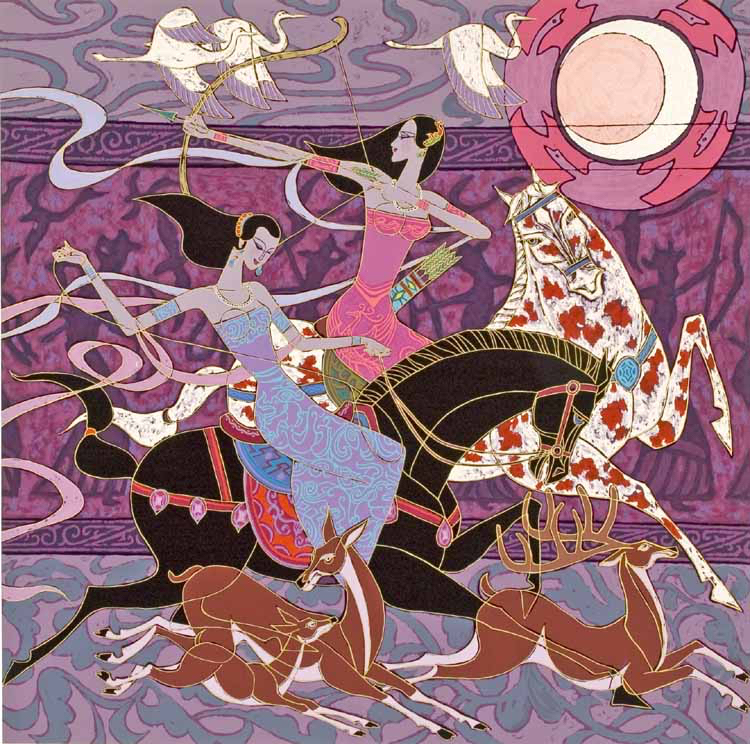 To take just one cursory look at the work of Richard Zu Ming Ho is to be dazzled by a real sense of magic and lyrical beauty, in creations that could only ever be those of one man. Such an artist, many would naturally presume, must have led quite the singular life to have been able to come up with paintings so vibrant in their colours and poetic in their brushstrokes. Well, those presuming such a thing may well be right, when they familiarise themselves with the unique story of Richard Zu Ming Ho. A career in science, technology... or art? Born in 1949 in a Chinese family that had already produced numerous other celebrated artists, the young Richard Zu Ming Ho was seemingly braced to follow in the footsteps of his relatives, being taught both Chinese and Western-style watercolours, landscape painting and figure sketching while at elementary school. Although Ho's creative talent was encouraged by his family in these tender early years, as he also tried his hand at calligraphy and seal cutting, his parents - like many other Chinese intellectual families - hoped that he would paint only on a hobbyist basis, pursuing a career in science rather than art. The exact path that the youngster would have taken in the then-expected circumstances will never be known to us, given the drastically altered circumstances of every ordinary Chinese citizen with the coming of the Maoist Cultural Revolution in 1966. Rather than having the luxury to decide between art, science or technology, Ho found himself doing hard labour as a highway worker at the behest of the government, which was determined to remove from him the chance to practice an art that had already been deemed dangerously 'Westernised'. Such had been the extent of Ho's development as an artist since his early teens, that his drawing and painting style was already a well-developed and distinctive one by the time the Cultural Revolution took hold. This was a youngster so clearly in thrall to French masters such as Degas, Monet and Renoir that the Red Chinese authorities plainly felt they could not take the risk of him exposing such Western themes to a wider base of his compatriots. As stymied as Ho's progress as a free-minded artist clearly was by such newly straitened circumstances, however, the scope for creativity in the young prodigy's life wasn't restricted to the production of Mao portraits and propaganda posters that so many other contemporary Chinese artists at the time were tasked with. Indeed, he was still able to access a sketchbook and a small oil paint box with which to practise his painting techniques, giving him hope that he could one day put them to the use of enriching the wider world. 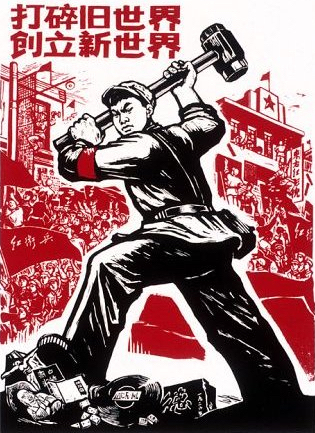 The Cultural Revolution—officially known as the Great Proletarian Cultural Revolution—was a social and political movement within China that attempted to eradicate all traces of traditional cultural elements and western influences, and replace them with Mao Zedong Thought (or Maoism), a form of Marxist political theory based on the teachings of the Chinese political leader Mao Zedong, the Chinese communist revolutionary and founding father of the People's Republic of China. Even when Ho didn't have art materials in his hand, he clung doggedly onto his creative identity through the formulation of images in his head that he would try to memorise so that he could eventually translate them to canvas. He faced a long wait, however, not leaving the camp for 10 years. Mercifully, the political climate did eventually moderate, at which point, Ho did not hesitate to bring his visions to bear in making up for lost time. On his emergence from the camp, Richard Zu Ming Ho's for-so-long stalled progress to his now-held status as one of China's most respected contemporary artists was a swift one. He attended and graduated with honours from the Shanghai Drama Institute of Fine Arts, having majored in oil painting, and proceeded to exhibit his works around the country. He gained the honour of membership of the Chinese Art Association and was even installed as vice chancellor at the Jia Zhou Institute of Painting. However, no arts practitioner with such a universally appealing talent and determination to showcase that talent to the outside world - as he had dreamed of doing throughout his suppression by the Cultural Revolution - could have remained in his still-recovering homeland for long. That was why he seized the chance before him in 1987 to study in the United States, subsequently exhibiting his work in Los Angeles, followed by California and then the wider country. Today, Richard Zu Ming Ho's exhibition profile is a truly international one, which has helped to bring to a much wider audience the pleasure of his work that is by turns elegant, whimsical, subtle, textured and spiritual. From youth, this was one artist with the ambition to elevate his work to a higher plane - an ambition that one has to say has been more than fulfilled.